Analysis of eco-geographical diversity for in situ conservation proposes or sampling of genetic resources for ex situ conservation of resources. Analysis and evaluation of the agricultural system. Prospecting and inventory of genetic resources. Sampling of resources for conservation. 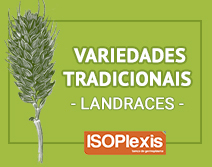 Researchers at the ISOPlexis Germplasm Bank possess knowledge, expertise and technical capacity to perform agronomic trials, according to the norms and standards of the International Union for the Protection of New Varieties of Plants (UPOV). Handling and production of vegetable seeds and propagation material of "certificated" varieties. Agronomic trials conducted according to the standards of the UPOV or customer requirements. Evaluation of agronomic traits and crop resistances. Collection of data and technical information needed to develop applications or files for protection of varieties. Production and maintenance of propagation material. The quality and health of propagation material is a key requirement in agriculture to ensure high value and safety of the products. 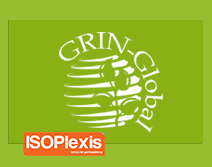 The ISOPlexis provides services include screening procedures for selection, sanitation, quality and viability analysis, and conservation of crop seeds or propagating material in compliance with the official methods of ISTA. We also possess the skills and expertise required to perform identification of the species and/or variety of propagation material, to determine material’s purity and detection of mixtures, and to perform fungal and microbial analysis. Testing for selection, health, quality and viability of propagation material. Allotment, handling and conservation of propagating material. Maintenance of pre-basic seed and vegetable-based varieties. Analysis of the quality and origin of the seed. Evaluation of genetic resources and agrifood products for quality improvement or productions add value (valorisation) involves a variety of techniques aimed at detection of the traits and/or markers of quality and/or tolerance. Microbiological and virological analysis and diagnostics. Development of projects for diversification of agricultural production. Varietal analysis, with evaluation of agronomic and molecular traits (productivity, quality, or resistances) according to the request and customer needs. Evaluation of nutritional and technological parameters of agricultural products of plant or animal origin in accordance with the standards of the Institute of AOAC. Quality control and origin of agricultural feedstocks and products. Detection of toxins in raw agricultural feedstocks and products. Microbiological analysis and virus detection. To obtain a list of our analyses and services please contact us: isoplexis@uma.pt.